Visit Newark – established by the Newark Accommodation Providers (NAP) group aims to bring people in to the town of Newark-on-Trent and to boost footfall for local accommodation providers and businesses. 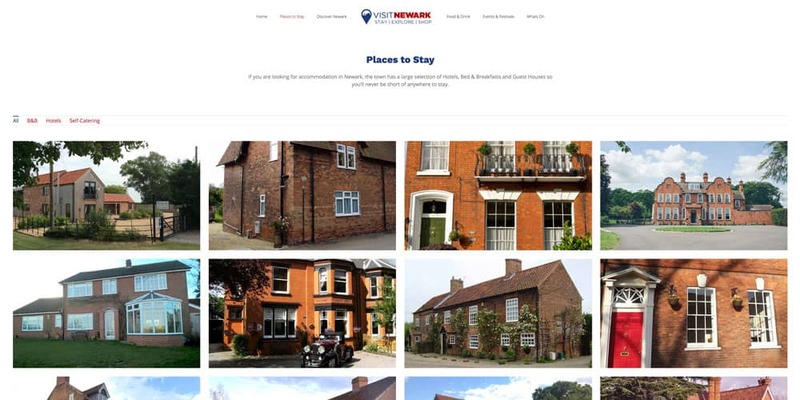 From Bed and Breakfasts (B&Bs) to Hotels and Self-Catering, the Visit Newark website has a whole host of accommodation providers for those looking to stay in Newark. The Visit Newark website also has information on upcoming events, activities, where to eat and travel information to help visitors get to and from the town. Jonathan Pass of Kelham Hall & Country Park will be assisting Richard Whiles as Vice-Chairman of Visit Newark. With Kelham Hall being both a tourist attraction and a location for accommodation, it is an ideal fit as his experience matches the idea of the Visit Newark brand. A list of various accommodation providers can be found on a redesigned modern and fresh page under Places to Stay. The logo uses the classic map pin shape which incorporates Newark’s unique landscape. This is accompanied by the ‘Stay | Explore | Shop’ strap-line. The design enables the logo to be used in black and white, can be reversed out or in standalone. The two key colours have been adopted for the brand – a ‘Newark Blue’ and a ‘Town Red’ but can be used in multiple colourways depending on use. People who are interested in staying in Newark are advised to keep an eye out on future events and festivals happening in Newark. You can do this by checking the Events and Festivals page for information on regular events, with any upcoming events posted on to the What’s On section and also shared across the Visit Newark social media platforms. 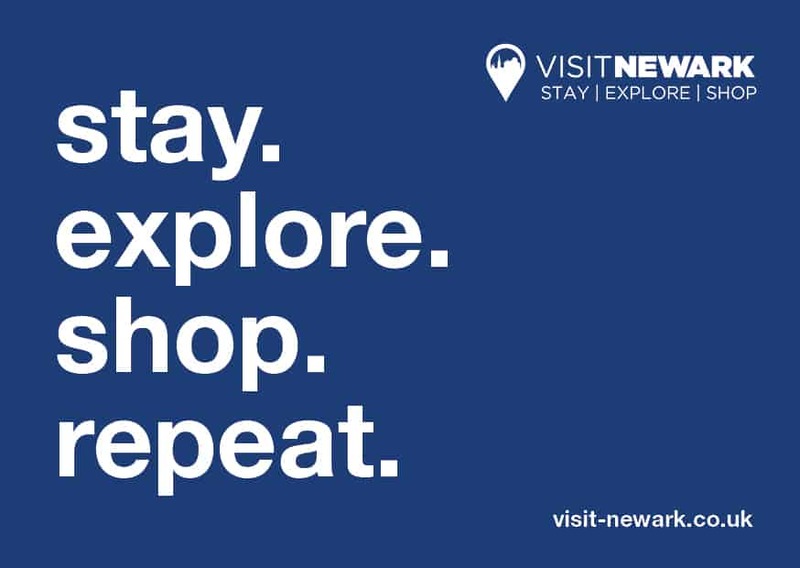 A ‘postcard’ was designed for social media use, promoting the idea of repeated visits to Newark incorporating the popular “Eat, Sleep, Repeat” phrase. For regular updates and to keep up to date with information from Visit Newark – please like our Facebook page or follow Visit Newark on Twitter.